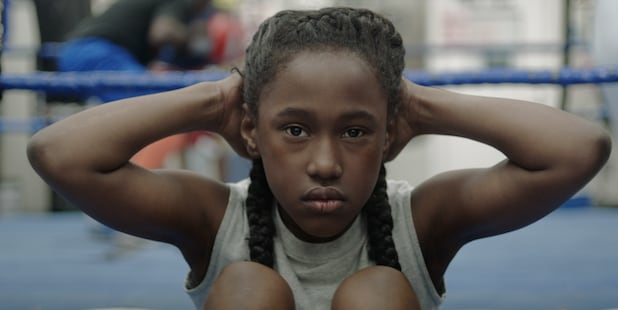 Oscilloscope Laboratories has acquired U.S. rights to Anna Rose Holmer’s debut feature “The Fits” from Mongrel International, just days before the film’s Sundance premiere, the company announced Tuesday. Oscilloscope will release the film theatrically this summer, when it will first open New York’s new Metrograph theater. “The Fits” was developed and produced through the 2014/15 edition of the Venice Biennale Cinema College program. The movie had its world premiered at the 2015 Venice Film Festival and it will have its North American premiere at the Sundance Film Festival in the NEXT program later this month. Breakout newcomer Royalty Hightower stars as 11-year-old tomboy Toni, who is bewitched by the tight-knit dance team she sees practicing in the same Cincinnati, Ohio, gymnasium where she boxes. Enamored by the power and confidence of the strong community of girls, Toni spends less and less time boxing with her older brother, and instead eagerly absorbs the dance routines, masters drills from a distance, and even pierces her own ears in an effort to fit in. But when a mysterious outbreak of fainting spells plagues the team, Toni’s desire for acceptance becomes more complicated. “We connected strongly with Oscilloscope’s passion and vision for the film and are honored to be working with their dedicated team to bring ‘The Fits’ to audiences,” Holmer, who produced the film with Lisa Kjerulff, said. “The Fits’ is exactly the type of film that Oscilloscope was created to champion — the masterfully executed result of a purely singular filmmaking vision. We are thrilled to have the opportunity to release it and equally thrilled to see what Anna does next,” Oscilloscope’s Dan Berger added. “The Fits” is the 2015 recipient of the Rooftop Films and Brigade Festival Publicity Grant, and its distribution deal was brokered by Mongrel International president Charlotte Mickie on behalf of the filmmakers.